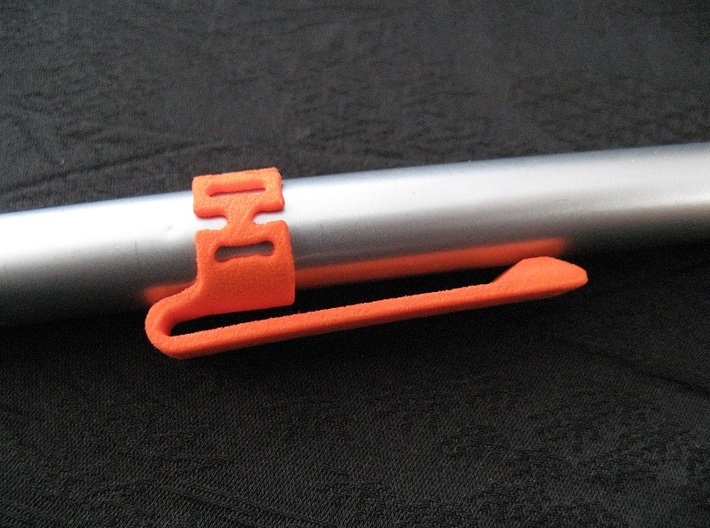 I present my Pen Clip, designed for use on cylindrical pen and pencil bodies. 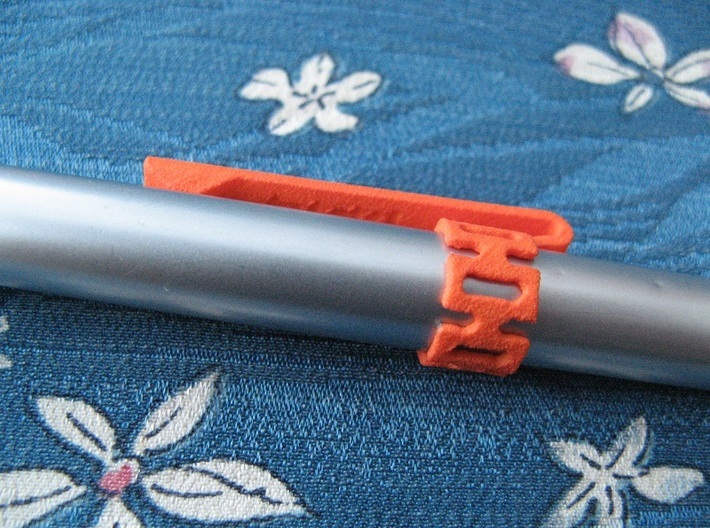 The ring section of the clip has cutouts to allow it to stretch around the pen body and grip it tightly. 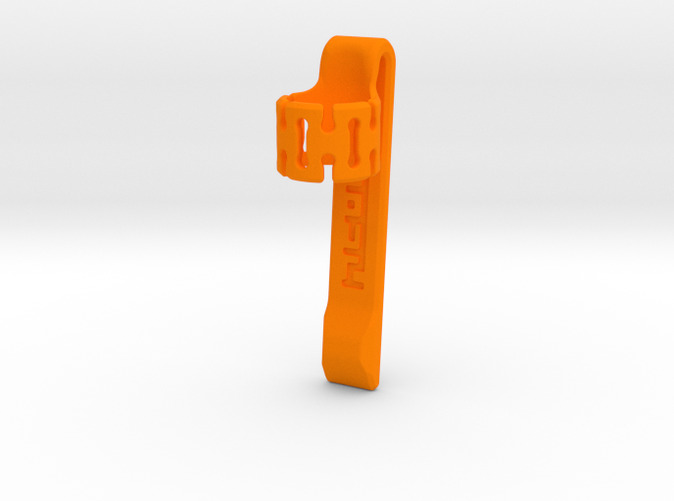 This model has been designed to be printed in any of the strong and flexible plastics. 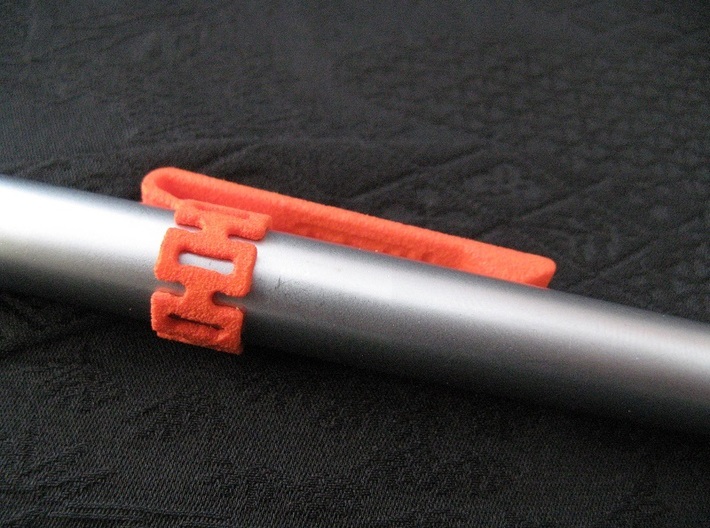 The internal diameter of the ring section is slightly smaller than the diameter of the pen body, the clip is for. 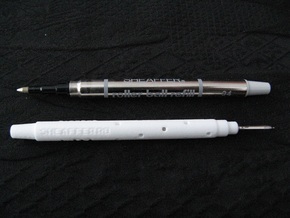 In this case the clip is for 9.5mm diameter pen bodies, with the actual internal diameter being 9.1mm. 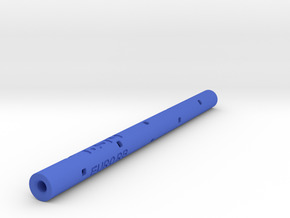 Although the clip will likely work on pen diameters of plus or minus 0.1mm from the stated optimal diameter in the title, the amount of spring in the ring has been carefully tailored, so even with a 0.1mm difference in diameter, a different model would be the optimal solution. Please contact me for any non-listed sizes, as I can easily make them available. I can also make clips for pens with other body shape cross-section, such as: Triangular, square, hexagonal or really any other cross-sectional shape, so long as I can be given accurate dimensions for it. Even some tapered pen bodies could be accomodated. 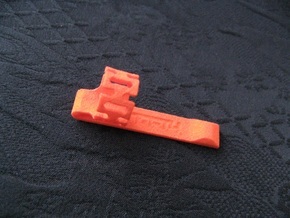 The pen clip fits tightly to the pen body and will be difficult in some instances to install. 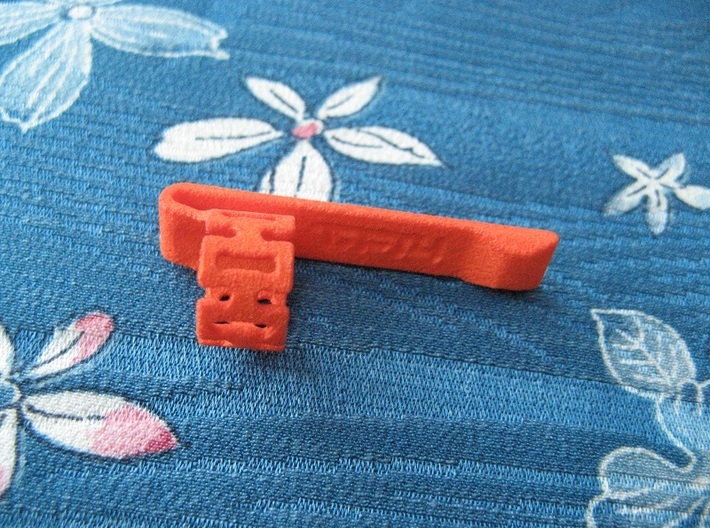 Over-stressing any single part of the clip's ring may cause it to crack or snap, so ensure that the installation is done gently and evenly, to avoid failure.